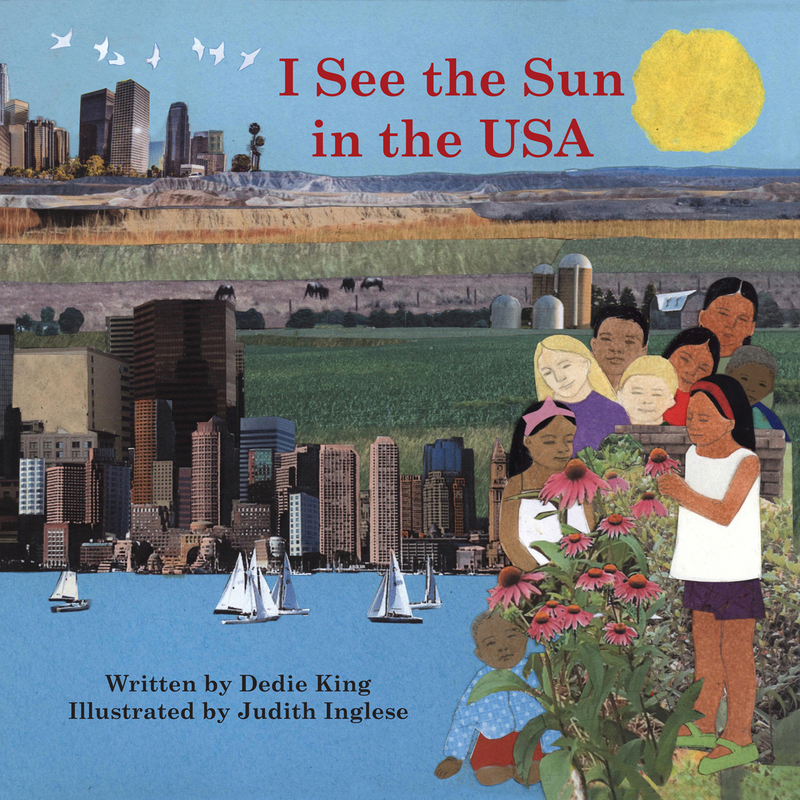 The children's book, I See The Sun In The USA, by Dedie King, is in a series of books from Satya House Publications about diversity in our wonderful world and how people view each other. This book talks specifically about the United States and how it is one of the most diverse countries in the world. More than 326 million people of different cultural and ethnic groups live here. I See The Sun In The USA follows Stella, a young girl from Los Angeles, California who is helping her mother make a video about diversity and families living in the United States. They visit different landmarks such as Mount Rushmore, where Stella meets several children from different parts of the country who tell her about their lives. Rosa lives in Alabama, Jamal lives in Massachusetts, Kristin lives in Iowa and Martha lives on the Cheyenne River Reservation in South Dakota. Join Stella as she learns about the similarities and differences within each family as well as where their ancestors came from. There are a number of different books in this series. This one is about the United States, Satya House Publications has books about Myanmar, Turkey, Mexico, Russia, Afghanistan, Nepal and China to name a few of the series. I think this is a great idea for a series since it is important for children to learn that we all come from diverse backgrounds and need to embrace one another as much as possible. Especially these days when diversity seems to be contentious and divisive. Teaching children from a young age that humans are all the same is a very important lesson and one that all parents should teach their children. I am glad that there are books to help enforce these lessons that parents instill in their children. This will be a great gift for a child for the holiday season. I would say the age range for this book is around 5 years old and up. It is something that the parent could read to the child and then the child could turn around and read on their own. Author Dedie King was a Peace Corps volunteer in Nepal during the 1960's where she taught school. She uses her world travel experiences past and present as the basis for the stories in the I See The Sun series. Presently she practices Classical Five Element acupuncture both in Hardwick and in Amherst, Massachusetts. Illustrator Judith Inglese designs and fabricates ceramic tile murals for public spaces such as schools, healthcare facilities and nonprofit organizations. In the I See The Sun series of books, she combines photography, cut paper and her drawings in her collage illustrations. Like her ceramic tile murals, her illustrations are colorful and detailed with strong forms and line work. She resides in Western Massachusetts. I See The Sun In The USA is available for purchase from www.satyahouse.com. Like Satya House Publications on Facebook: https://www.facebook.com/SunBooks.